These days, there are many ways to ingest therapeutic, all-natural cannabis. From smoking or vaporizing the dried flower, to selecting one of countless different concentrates, cannabis users have an incredible selection at their fingertips, allowing them to choose the most beneficial version for their personal concerns. Cannabis capsules are one more great way to treat a variety of ailments. Most cannabis capsules are made using THC or CBD oil (or a combination), though some contain a powdered isolate, instead. Just like capsules of vitamin E or fish oil you might consume for your health, the oil or powder generally comes contained in a gelatin-based capsule, which can hold anywhere from 10 mg to 150 mg or more of the different cannabinoids. Cannabis capsules offer one of the easiest ways to treat a variety of ailments with cannabis. Unlike edibles, you don’t need to be able to bake or cook, or be concerned that an ingredient could exacerbate an allergy or intolerance. The capsules come in pill containers that look just like the Aspirin bottle on your bathroom shelf, with a locking lid that ensures kids and pets won’t have access. No more carefully labelling or stealthily hiding your flowers or edibles. If discretion is a primary concern for you, capsules allow you to medicate wherever you are, with no concern about smells from plants, smoke, or vapor. Cannabis capsules can be taken just like any other pill, too. In the case of edibles, even with careful measuring you can never be 100% certain how much THC or CBD you’ll be getting, but a single capsule contains exactly the amount of cannabinoid listed on the bottle. People new to medicating with cannabis can purchase a package of 5 mg THC; 20mg CBD tablets, start with just one capsule per dose, and slowly work their way up to multiples, or higher-dose options. Capsules also fall relatively low on the wait-time scale. Though not as fast to kick in as vaporizing or tinctures, they often take only half an hour to enter the bloodstream – as soon as the outer capsule has dissolved, the cannabinoids are easily absorbed through the walls of the digestive system. What Can I Treat with Cannabis Capsules? Anything that can be treated with cannabis flowers or edibles can be treated with cannabis capsules, in a safer, more regulated way. Select low-dose THC capsules for relief from depression, anxiety, and sleep disorders without an excess of psychoactive effects. Doses of CBD can manage epilepsy and glaucoma symptoms, and the pain and inflammation caused by arthritis. Turn to higher doses – 25 or 50 mg THC, or equal parts THC and CBD – to address symptoms of diabetes and hypertension, stress, and appetite loss; you’ll also benefit from the antimicrobial and mood-improving properties of this amazing medication. FARM has an excellent selection, including both FARM brand and Nu products. Choose from a wide range of pill-counts and potencies – 10 mg THC and CBD perfect for low-tolerance users, and up to 150mg THC for the established patient. 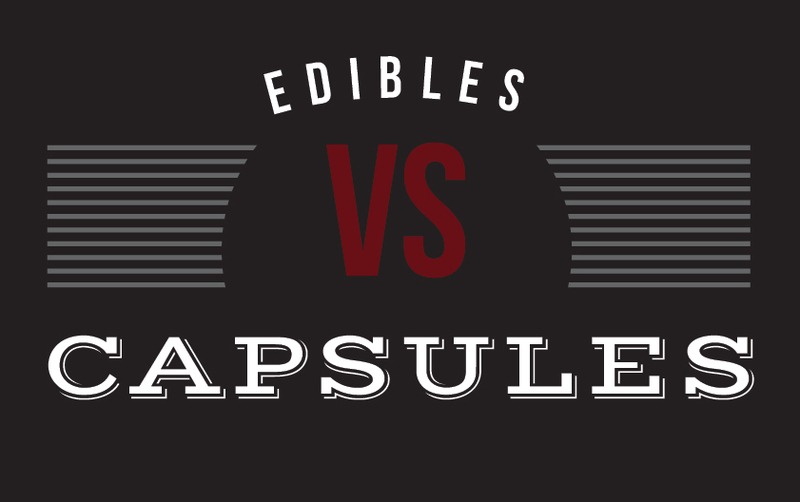 Cannabis capsules are a safe alternative to edibles and other cannabis products. They are discreet, and enable patients to treat their symptoms in a precise manner. If you are uncertain about the amount of THC or CBD you should be consuming per dose, speak to one of our knowledgeable staff members and start experiencing natural relief, today.